Kindergarten programs where I live are notoriously difficult to get in to. I almost think it would be easier to obtain a place studying medicine at university than finding somewhere for my three-year-old to spend four hours a week working on serious box constructions. Aside from whether you are lucky enough to have a place, there are the sought-after kindergartens that, for a variety of reasons, are the ones that parents cross their fingers for. I can’t even imagine throwing these fabulous, architectural masterpieces into the mix. 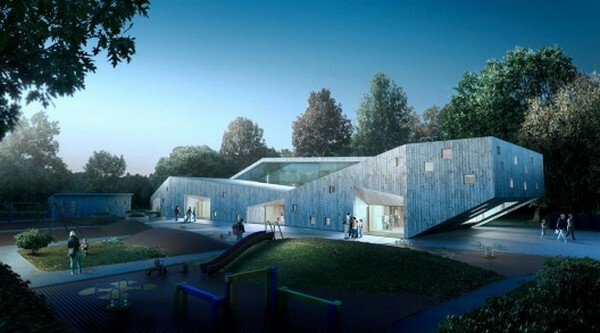 The first is the Fagerborg Kindergarten in Oslo, Norway. Designed by architecture firm Reiulf Ramstad, the contemporary building is situated in an historical residential area and is surrounded by a small park. It has been designed to allow for different age groups of children to have their own ‘unit’ or building but to also share some common space when needed. I think the huge entrance ways are visually welcoming. 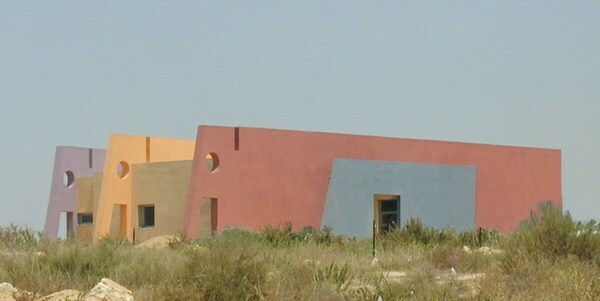 Equally stunning is the Three Elephants Kindergarten in Caesarea, Israel. Designed by architects Knafo Klimor, the building encourages imagination as it plays on geometry, colours and images that evoke meaning. In the context of its surrounds, the kindergarten really does appear to be three elephants traversing the dunes of Caesarea. For more awe inspiring kindergartens, see our previous posts on kinders in Tel Aviv and Berlin.